Grand Cayman is the most visited destination in the world for diving vacations. 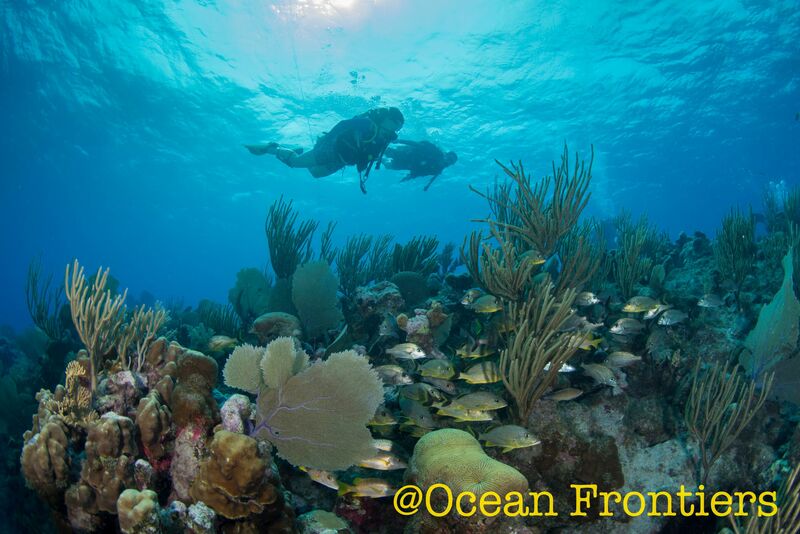 Because of where we’re situated, we’re a favorite for scuba diving vacations. Home to the North Wall which plunges 6,000 feet down, you’re in for some of the best marine life you’ll see anywhere there’s water. Grand Cayman is home to some of the most renowned and sought-after dive sites. The Maze is a must-do. Divers can navigate through rock and canyon formations and come face-to-face with impressive marine life. Snapper Hole is a 20-65-foot natural obstacle course with chutes, tunnels, cuts and swim-throughs for the adventurer. Then there’s the U.S.S. Kittiwake, Dragon’s Lair, Little Bluff Reef, and on and on we go with over 365 dive locations on the island. The Cayman Islands have gone above and beyond in protecting local sites by forbidding collecting and fishing to create the optimal diving experience. They are known to be one of the best places for a healthy marine environment: the fundamental attribute of a great dive site. If you’ve never been here before, or if you’d like to take the guess work out of planning a scuba diving adventure in Grand Cayman, you’ll be delighted to know that we have custom dives that you can book. These experiences are tailored to your level of expertise; whether you’re looking to take a stress-free 30-foot dip at Grouper Grotto or plunge 100+ feet at Anchor Point, there’s a scuba diving vacation for you. At Wyndham Reef Resort Grand Cayman, additional dive offerings include getting PADI certified, right here while you’re on vacation. We even have courses offered for those who would simply like to refresh their muscle memory on the skill. And that’s just the tip of the iceberg. If you’re not ready for open ocean, free try-dives are held daily at the resort pool. Your ultimate scuba diving vacation is just a few clicks away. We put together the vacation, you experience Caribbean adventure.